Kings XI Punjab chased down Delhi Daredevils' target of 167 with 7 balls to spare. 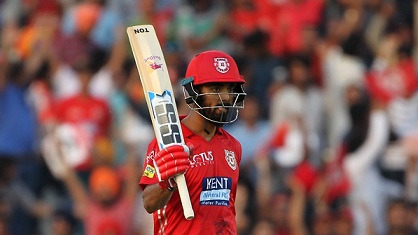 KXIP opener KL Rahul proved the worth of his 11 crore bid by hitting a breathtaking 14-ball fifty – the fastest in the history of IPL. 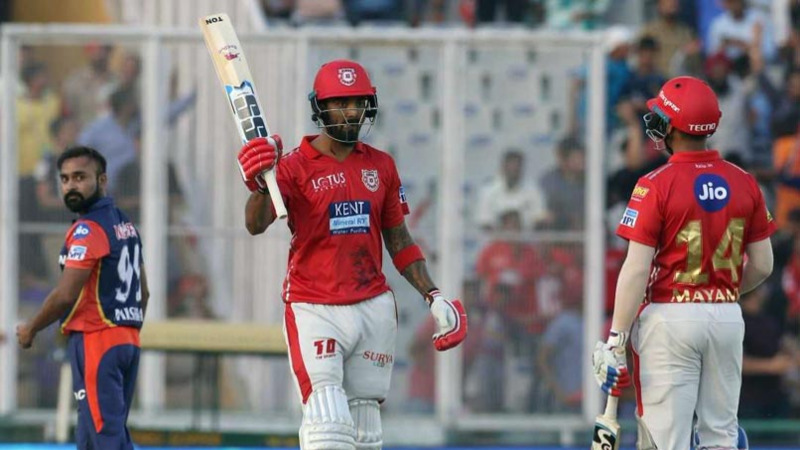 Rahul got dismissed for 16-ball 51 (6 fours and 4 sixes), but his effort was more than enough to dent the Daredevils as KXIP notched up the target with 7 balls to spare. After being put into bat, DD rode on their skipper Gautam Gambhir’s 42-ball 55 to post a competitive total of 166 on the board. Making his debut in the IPL, the 17-year-old Afghanistan off-spinner – Mujeeb Ur Rahman was the pick of the bowler for KXIP as he scalped 2 wickets for 28 runs in his 4 overs. Pacer Mohit Sharma also chipped in with 2 for 33 in his quota of overs. In reply, Punjab started the innings with a flier as KL Rahul and Mayank Agarwal put on 58 runs for the opening wicket in just 3.2 overs. Although the local boy Yuvraj Singh (12 off 22 balls) got dismissed cheaply, but a well-composed 50 off 33 balls from Karun Nair in addition to some level-headed strike-rotation from David Miller (24 off 23 balls) and Marcus Stoinis (22 off 15 balls) saw the hosts home with ease. We’ve seen some special strokeplay from K L Rahul here today on Mohali. 50 from 13 balls: he is some special talent. 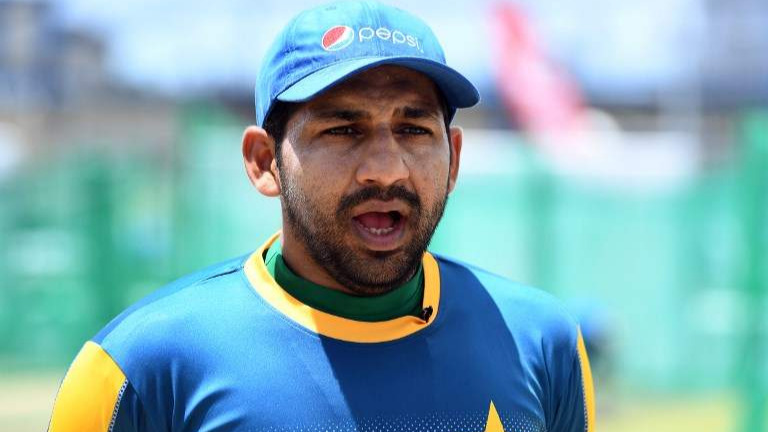 Have his team a lot of breathing space in the run chase. #vivoipl2018.